One of the biggest niggles with cockspur window handles is that there isn't a night vent facility so we have sourced these night vent keeps which are easy to fit and use. 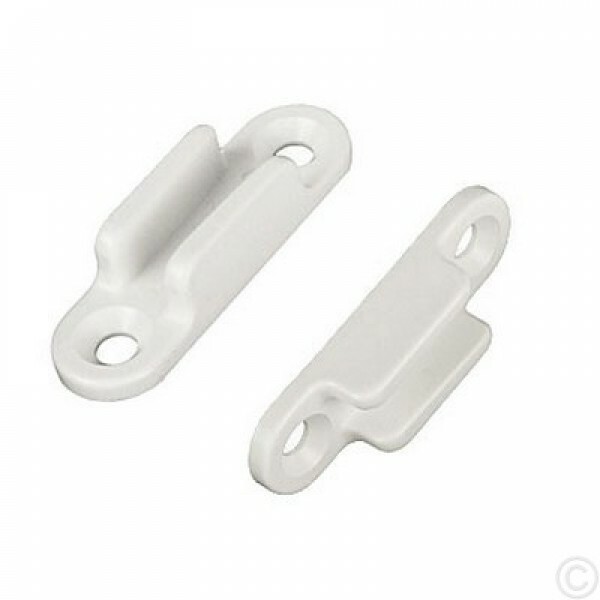 These can be fitted without affecting the Fire Escape Regulations for Static Caravans, and are therfore suitable for fire escape windows. The width of the centre channel is graduated to ensure a secure fit.